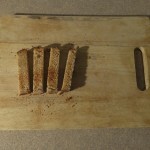 In my youth, about four years ago, I made a soldier recipe with the Laughing Cow wedges. Laughing Cow cheese wedges are what people eat when they’re craving disappointment and plastic. 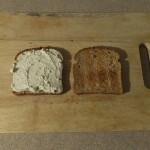 I decided that it would be beneficial to recreate my high school breakfast, but break out of the triangle-shaped mold. 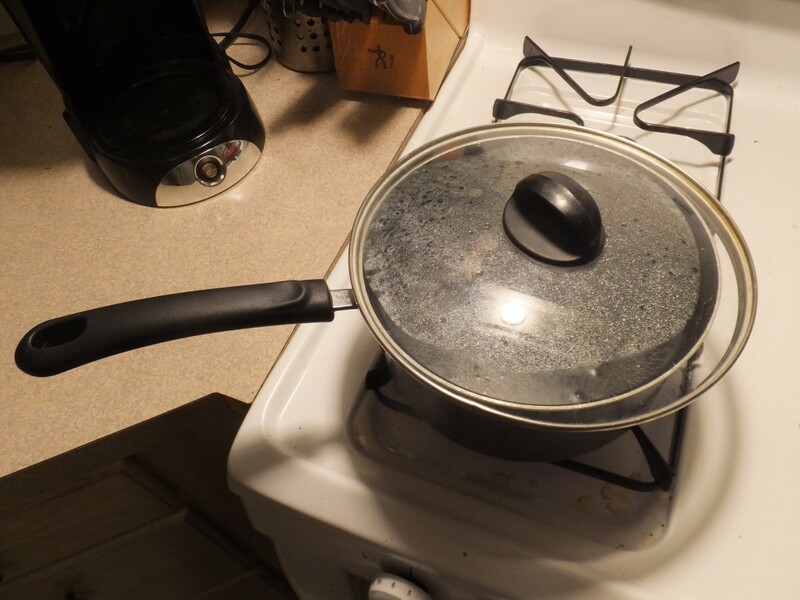 I put a pot of water on the stove for the eggs. 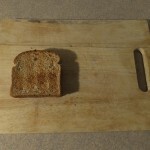 I also put my bread in the toaster. I threw all the ingredients for the spread into a bowl. 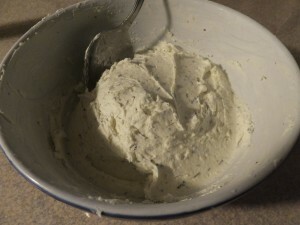 Since my cream cheese was only recently retrieved from the refrigerated section of Target, it was a bit tough to stir. I fought my way through this battle and emerged victorious. This spread is pretty delicious. 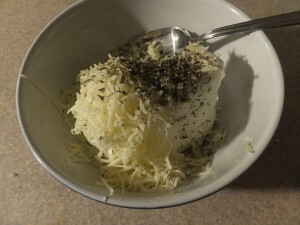 While I would recommend giving it a few hours for the flavors to develop, even now this cream cheese would taste good on a bagel, a spoon, or the soft skin of a lover. By now my water was boiling, so I gently threw the eggs in. The end game here is super runny yolks, so they only need to cook a short time,about five minutes. 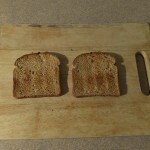 Once my toast was done, I spread the mixture on a slice, created a sandwich, and then cut it into soldiers. Once my eggs were done I popped them into a bowl with ice. Ever impatient, I quickly transferred them to their serving bowls. 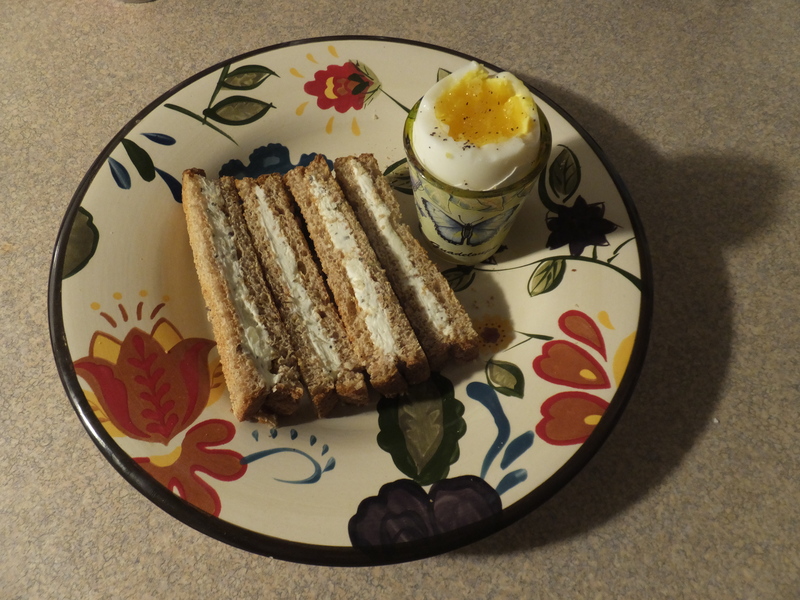 I always thought of egg cups as the epitome of class. 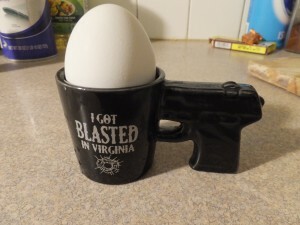 A cup designed purely for supporting an egg? You might as well carve it out of diamond. 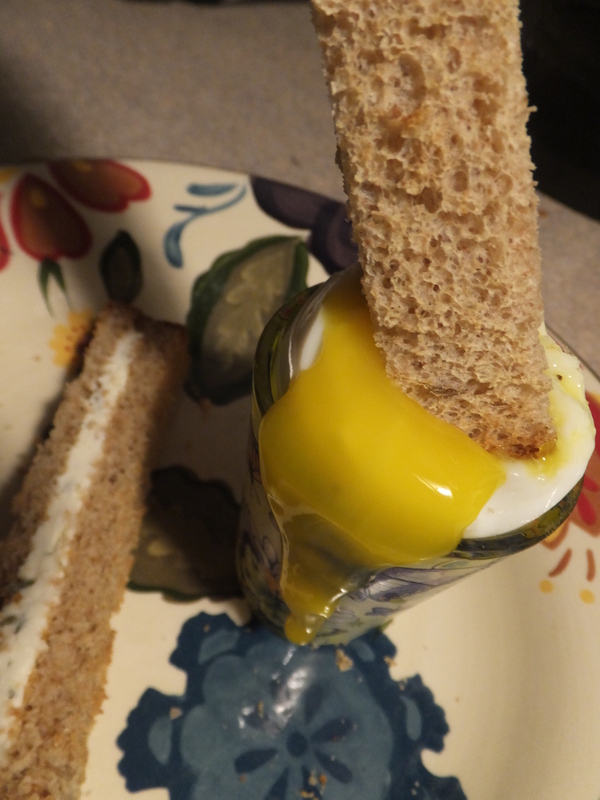 Seeing that I have not yet transcended to the egg-cup stage of life, I reached for the next best thing: shot glasses. 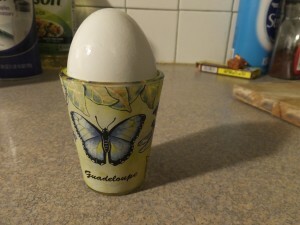 Not only are my eggs supported for ultimate comfort and fit, but I now have a week-day job for my shot glasses. It’s always pleasant to think back to the time I got blasted in Virginia, or as I call it, college. Cream cheese soldiers doing work. 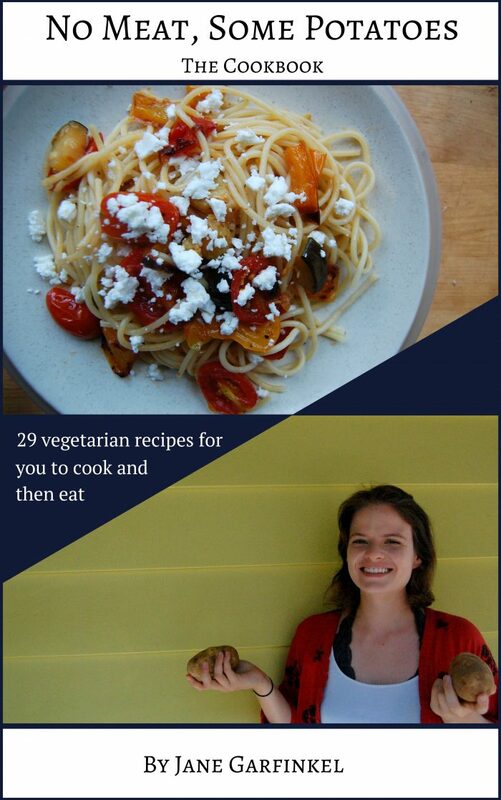 The final step, as with all recipes, is to eat. Enjoy!